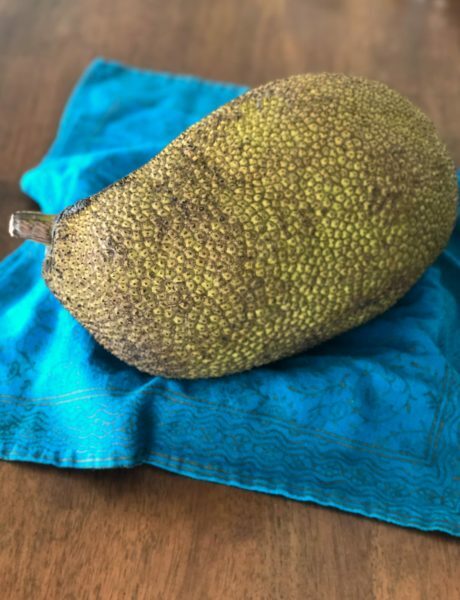 So you have a giant jackfruit, and you want to prove to your friends just how amazingly delicious jackfruit can be? 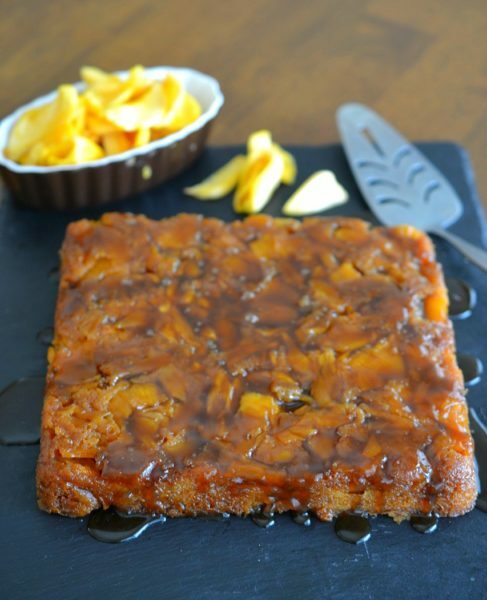 That’s when it’s time to make this rich and sweet Ooey-Gooey Jackfruit Upside Down Cake. 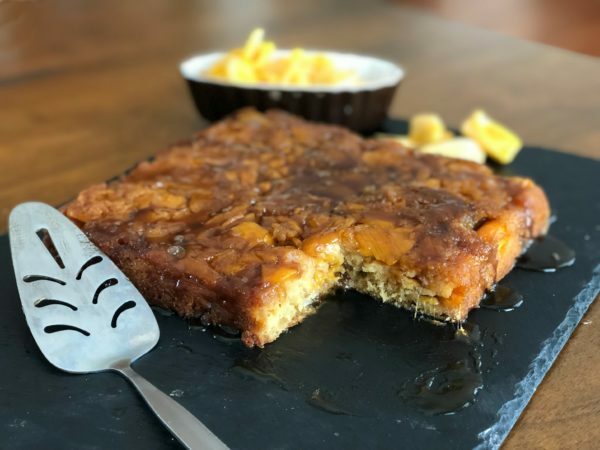 In general, a jackfruit upside down cake is based on the idea that jackfruit is similar to pineapple in certain ways, and you can make a classic gooey cake-bottom when the jackfruit caramelizes at the bottom of the pan. But it’s the pretty gold color of a ripe jackfruit that makes this cake so special. 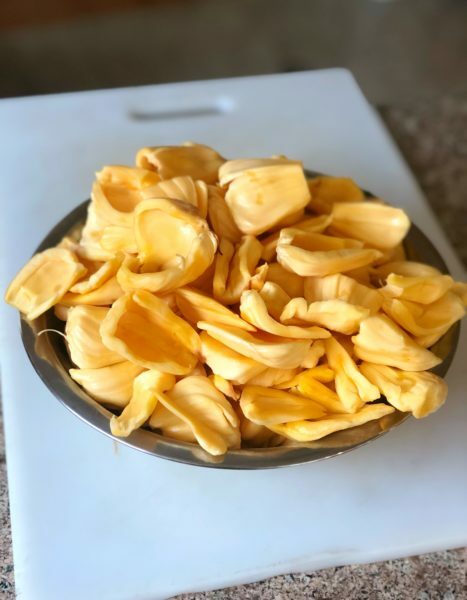 To get that pretty gold color, you’re going to need to start with a ripe whole jackfruit (we got this one from Melissa’s). A whole jackfruit?!? 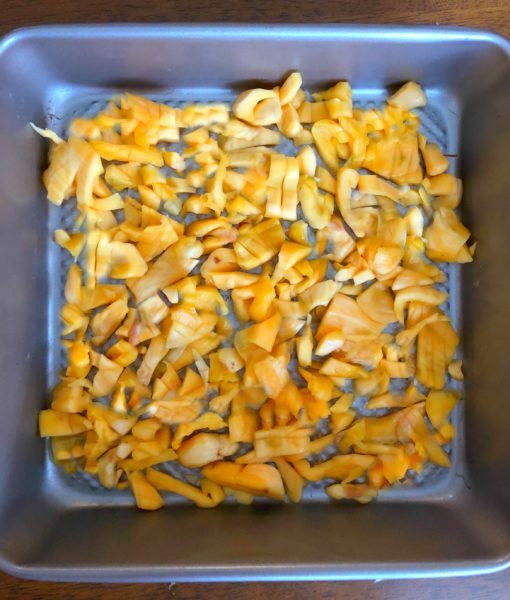 That’s right, but never fear: We’ve got you covered with this step-by-step guide to preparing jackfruit. Yes, it’s a little time-consuming, but it’s extremely satisfying when you end up with a big bowl of golden fruit. 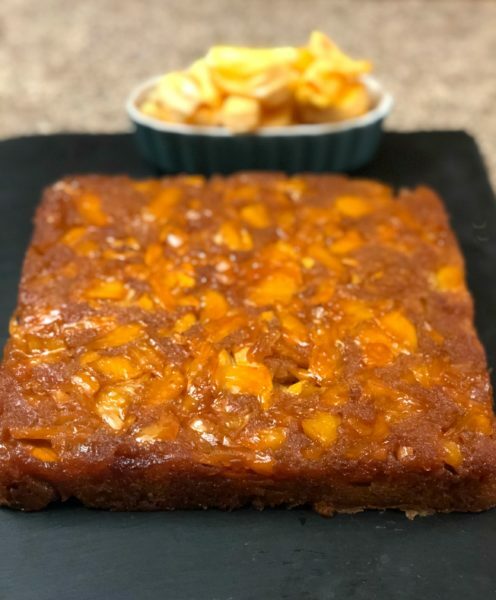 Also worth noting: We’ve seen other jackfruit upside down cake recipes that call for whole unsliced pods, but we like the cake better aesthetically when the jackfruit is sliced into slivers on the bottom of the pan. Preheat the oven to 350 degrees and grease a 9-inch cake pan. Prepare the caramel layer: In a medium saucepan, cook the sugar over medium heat, stirring frequently, for 3 to 4 minutes or until an amber caramel has formed. Add the softened butter and cook, stirring constantly until combined, 1 to 2 minutes. Immediately pour caramel mixture into the prepared cake pan, spreading to cover the entire bottom of the pan. Arrange the jackfruit so that it covers the caramel and the bottom of the pan. Make the cake batter: In a small bowl, mix together the flour, baking powder and salt. In a medium bowl, whisk together the brown sugar, melted butter, vanilla, eggs, and yolks. Fold the dry ingredients into the wet and stir gently to form a smooth batter. Pour the batter over the jackfruit in an even layer in the cake pan, smoothing with a spatula as necessary. Bake until the top of the cake is golden brown, approximately 35 to 40 minutes. Remove the cake from the oven and let it slightly cool on a wire rack for 10 minutes. Then gently invert the cake onto a plate. Prepare the caramel drizzle: In a medium saucepan, heat the butter and brown sugar over medium heat, stirring frequently, until both have melted. Add water and vanilla, bring mixture to a rapid boil for one minute, then remove from heat and cool for 10 to 15 minutes. Drizzle over the inverted cake and serve warm or at room temperature. When you invert the cake and put it on the plate it will look so beautiful and smell so divine that you’ll want to eat it right away – and you can. 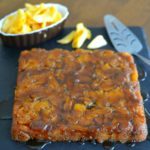 But you take take it up a notch even further by adding this caramel drizzle that really heightens the butterscotch-y flavor. What’s next? We love it served warm, and you may get it to feed 8 people, but in our house it fed maybe … two? Once you have the first bite it’s hard to stop – it’s that good. 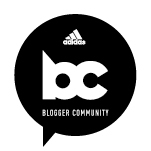 If you try it, let us know what you think!